More than 2,00,000 people sleep on Delhi streets in this bone penetrating cold every winter and more than 35,000 homeless people have died since 2004. Folks!!! While we switch channels of our television, sipping the hot coffee finding comfort under the warm fuzzy blanket, cursing the govt for not doing anything for the poor. We sometimes forget that there are people dying on the streets. We are a group of normal office going people who share sympathy with these homeless people sleeping in the open. Every now and then we extend our hands and try to help these people on our own without the help of the govt. This winter we are trying to provide warmth to these unfortunate people of Delhi and we would appreciate your kind gestures in this act of humanity. Even a small donation counts, so open your heart and donate for this worthy cause. The funds received will be used to buy warm clothes and blankets and will be distributed on regular intervals to these homeless people on the streets of Delhi. We will be taking out the funds from here on regular intervals and will be buying supplies and distributing it to them. 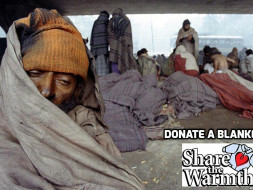 This winter "DONATE A BLANKET, SHARE THE WARMTH". Thanks a lot for donating to this cause. 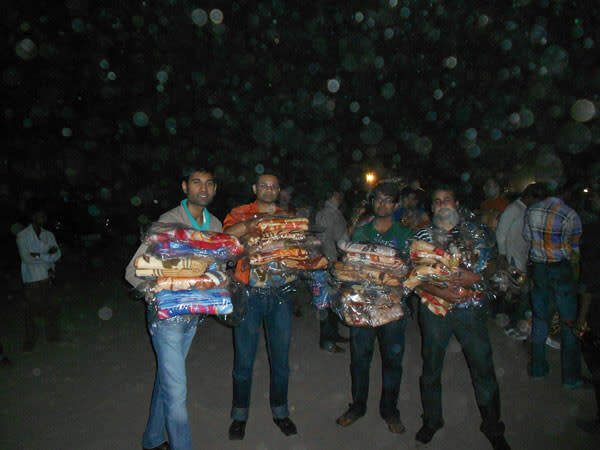 We have successfully distributed 450 blankets this winter. Now summer is going to start and we will start distributing food to homeless people and arrange water pots for street animals in localities nearby. Thanks to all the donors who made this year's blanket drive successful. We have donated total of 150 blankets till now. There will be one more drive tomorrow where we will donate 50 blankets. Thanks a lot everyone for their donation. We have been very successful in our donation drive. Dec 30 will be the next drive. 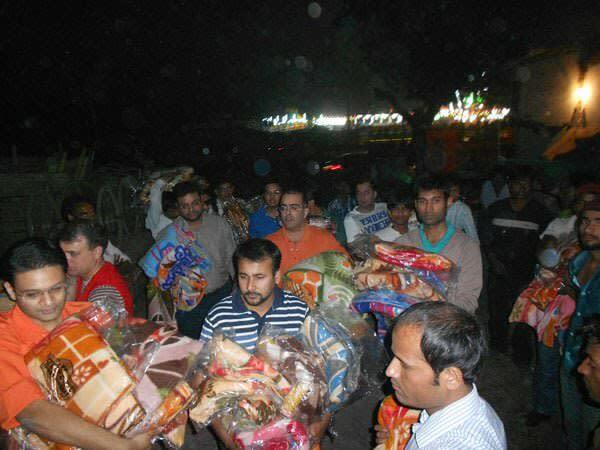 We will be distributing blankets to homeless people under janakpuri bridge delhi. We will be purchasing 60 blankets today. Keep supporting the needy. Thanks a lot everyone for the donation. The last blanket drive for this season will be held on Jan 26. After that we will be moving in the summer season so clothes donation and help for pets will be going on.